When Polycom released their first SoundStation conference room phone, it completely changed the business telecommunications landscape. That was back in 1992, when Aladdin topped the box office and “Baby Got Back” was a Billboard No. 1 hit. Since then, Polycom’s succeeded in their vision to transform the speakerphone into a vital business tool, as companies like Revolabs and Logitech have joined the fray in developing quality audio conference phones for businesses of all sizes. Can you remember the last time you bought one? If you’re like many businesses, as long as your phones still work, it really doesn’t matter how old they are. But if you’re running into one of the five issues below, it might be time to look for a replacement. There are all sorts of reasons that someone’s hard to hear on a teleconference. Sometimes your participants could have difficulty hearing you speak, other times your phone’s speaker could be making it hard for you to hear clearly. Of the many problems that can arise, it’s important to choose the right conference phone that can address many of these issues. What It Is: The speaker sounds hollow, as if they’re in a tunnel. This is one of the most common audio conferencing issues, caused by multiple microphones being active simultaneously and not receiving multiple voice signals correctly. What Your Phone Should Do: Distorted, “hollow” sound can be minimized or eliminated with a phone that automatically detects where the speaker is in the room and mutes all other microphones except for whichever one is closest. What It Is: A conference participant hears their own voice coming back over the speaker, but on a brief delay, making it impossible to have a smooth conversation since it’s so distracting. What Your Phone Should Do: Most newer phones will have varying degrees of effective echo cancellation, which identifies the microphone audio being returned to the speakerphone and automatically eliminates it. This is performed by DSPs, or digital signal processors. What It Is: Crackling or clicking sounds heard on a call, and the devices causing the noise aren’t muted. What Your Phone Should Do: Similar to echo cancellation, most modern conference phones use sensors to automatically block any devices that are causing feedback or line noise on a call. One other thing to keep in mind is what your device’s pickup range is. The standard used to be 7-10 feet (up to three meters), but newer phones can pick up audio from up to 20 feet away (six meters). If you have larger meetings in a larger space and need more range than that, expansion microphones can extend your phone’s pickup range to up to 230 sq ft. 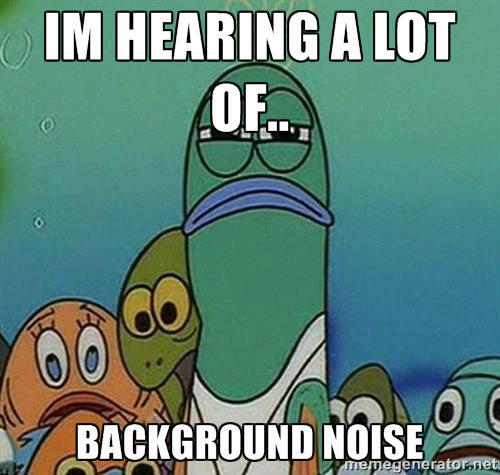 Simply put, one of the biggest issues with audio conference calls is background noise. Not only is it distracting, but it can make whoever is speaking hard to understand and can negatively affect the quality of your call. The clincher? Teleconferencing services aren’t able to block it out on their own – it’s entirely your conference phone’s responsibility. The last thing you want is your business’s reputation unknowingly taking a hit because of something preventable like background noise. Potential customers, current clients, and even investors will all judge critically if you sound like you’re in a call center. Look for a conference phone that’s capable of discerning human speech from all other types of sounds. New developments in noise cancellation technology have enabled the latest phones with algorithms that can detect background noise as it surfaces and automatically mute the microphones until someone starts talking in order to minimize distractions. Have you ever accidentally hung up on someone when trying to mute them? A user-friendly conference phone has easy-to-locate mute buttons and other clearly defined features that ensure calling is a breeze. It should be as easy to make a call on your conference room phone as it is at your desk or on your cell. Easy to use also means that you shouldn’t need your IT department to help you set up or use the phone. Look for a phone that can integrate with your Outlook calendar (or whichever email client you use). You can join a meeting with literally one touch. Your meetings start on time because there’s no mistake about the day or time, and you won’t be worried about fumbling around trying to get connected. Some conference phones even have touch screens in an effort to be more like everyday smartphones, reducing the amount of mistakes and minimizing training requirements. It makes sense, considering an estimated 80% of all adults own a smartphone, according to GlobalWebIndex. After all, when it comes to technology, more familiarity is never a bad thing! 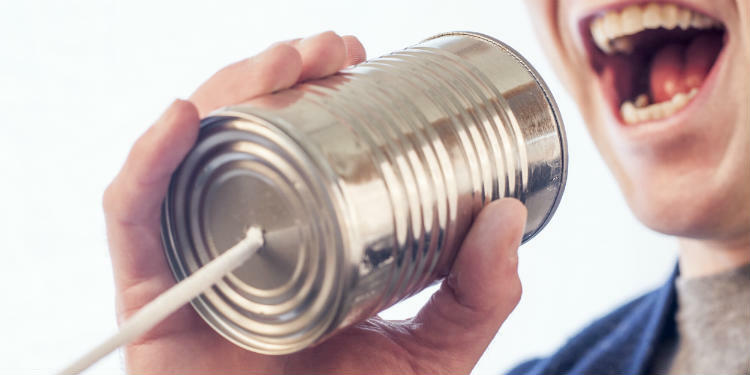 We’ve all been on a conference call where someone sounds like they’re talking into a tin can. So why does it still happen? That’s because the natural highs and lows have been removed from their voice due to low-quality phone signals. Not only is it irritating to listen to, but listeners have to strain to hear what’s being said. If it’s the phone signal to blame, some conference phones can simulate the highs and lows from our voices in the event they’re missing. This creates a much fuller sound and makes calls much more tolerable and easier to get through. Picture yourself walking to your office on an important call. You walk into your boardroom and without touching a thing, your call automatically transfers to your conference room phone. While continuing the discussion, you sit down, get your laptop out, and bring up the emails you’re talking about in your conversation. Unfortunately, you’re not able to do something like that with a lot of conference phones out there. The more modern conference phones, however, have “Bring Your Own Device” (BYOD) functionality. So it doesn’t matter if you have the latest iPhone or your colleague has a Galaxy S3 — you’re able to connect your conference phone to any device with ease. In addition to Bluetooth, some newer phones have NFC connectivity and USB ports that let you seamlessly connect tablets on the fly or easily hook up a laptop to use the speakerphone to sound from webinars, videos, or product demos. 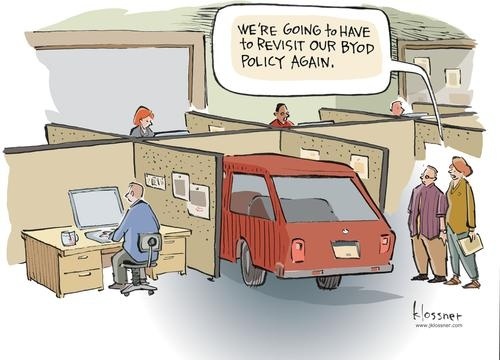 With BYOD, there’s less of a learning curve to use your conference phone and more people will wind up using it, giving you better return on your investment. Have you ran into any of these issues with your conference phones? Let us know in the comments!